The total dividend payments by listed companies in South Korea are likely to exceed 30 trillion won ($26.7 billion) this year, data showed Sunday, reaching a record high in light of mounting pressure from the country’s largest investor, the National Pension Service, to raise their dividend payouts. The total cash dividends of 612 Kospi- and Kosdaq-listed companies that have disclosed figures for 2018 as of Sunday amounted to 27.5 trillion won, according to Seoul-based financial data provider FnGuide. The figure surpasses the total dividend payments by all listed companies for 2017, which stood at 25.5 trillion won, despite the fact that only about 50 percent of the firms listed on the nation’s first and secondary bourse have disclosed their plans so far. The increase in the dividend payout ratio comes on the back of the NPS’ pressure on firms to change their “stingy” policy by exerting its shareholder rights through its stewardship code. The code intends to get institutional investors to actively engage in corporate governance to enhance shareholders’ interests. 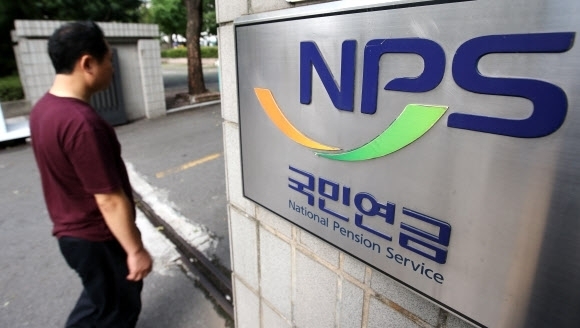 “The change in the narrative surrounding the dividend payout comes on the back of the request of institutional investors that have adopted the stewardship code – including the NPS -- to increase the payout coupled with a shift in the stance on the payout among executives,” said Hwang Se-woon, a senior researcher at the Korea Capital Market Institute. Following the NPS’ decision to intervene in Hanjin KAL’s management earlier this month, local firms have been cautious to try to avoid marking themselves as the next targets. Hyundai Green Food, which has been under the NPS’ gaze for some time, recently announced plans to increase cash dividends by 162.5 percent to 210 won per common share, even before the nation’s top institutional investor addressed the firm.